Super Junior’s Yesung has recently just dropped the MV teaser for his new Japanese single ‘Because I Love You’. The song will be one of the six tracks that will be included in his first full Japanese album called ‘Story’. 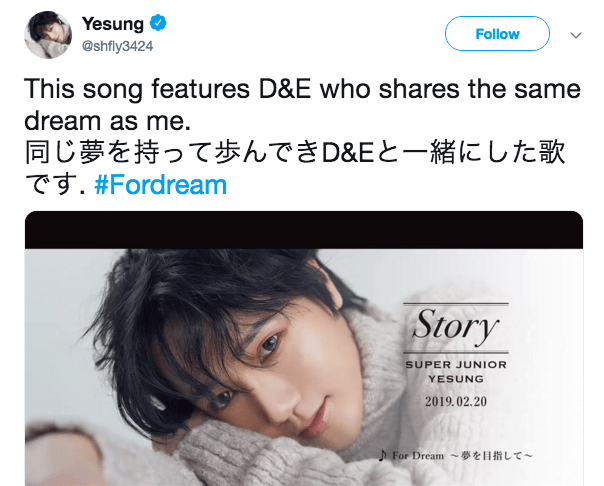 On his official Twitter account, Yesung also revealed that the song ‘For Dream’ was created with the help of his bandmates – D (Donghae) and E (Eunhyuk). Yesung’s Japanese album ‘Story’ is set to release on the 20th of February. Watch Yesung’s teaser for his new MV ‘Because I Love You’! What are your thoughts on Yesung’s song?